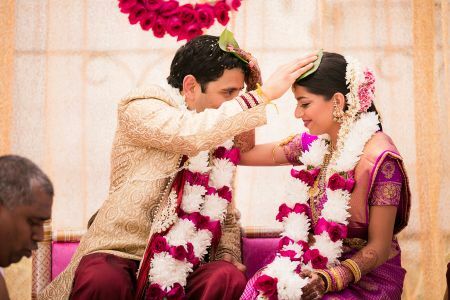 Lin and Jirsa has become specialists in Indian Wedding Photography over the years. We started with one Indian Wedding several years back and from there we were referred to another. From there, the effect snowballed and now the majority of our weddings are for Indian couples. 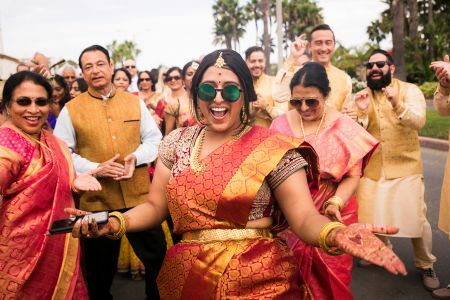 The journey has been amazing and we feel so blessed to be a part of the Indian Community, capturing some of the most elaborate, grand, and beautiful weddings in the world. We do all types of Indian weddings, from Hindu Weddings to Sikh Weddings and others. 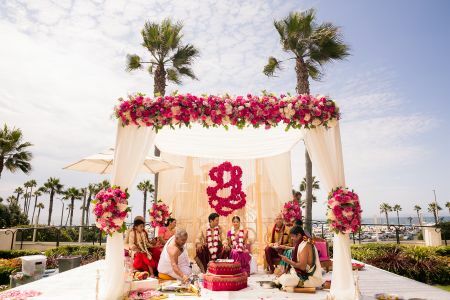 We’ve learned the nuances of the different Indian Wedding ceremonies and the different things to watch out for. We know the camera angles to take and we’ve identified the important wedding events for each of the ceremonies. Being specialists in Indian Wedding Photography, we will capture every important moment, making both the couple and their families happy with the Wedding Photos, the Wedding Albums, and the overall experience with Lin and Jirsa Photography. We realize that Indian Wedding Photography requires special pricing, as most are multi-day events. 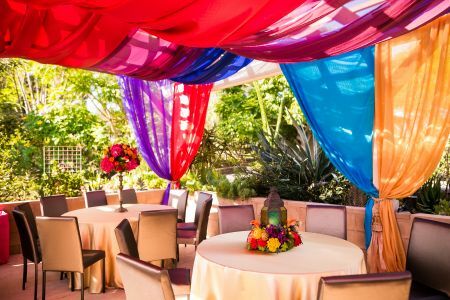 We have special packages catered to Indian weddings that include coverage for Mehndi Parties, Sangeets, and, of course, the Wedding Day. If you require additional coverage for other wedding or pre-wedding events, we have hourly rates for the other Indian Wedding Ceremonies and Events as well. Contact us here for more info. Beyond photographing the most important wedding moments, we put an emphasis on capturing them with creativity. We’re always in search of reflections, interesting foregrounds and backgrounds, and the perfect light in our photography. 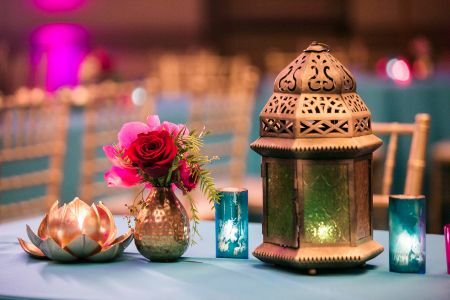 Our unique combination of lighting techniques along with our creative post production allows us to create amazing, creative imagery for your Indian Wedding. A large part of our success with Indian Wedding Photography has been our ability to capture all of the vibrant colors with our various techniques. We don’t do too many “Vintage Fades” or other desaturated processing techniques unless the scene and image calls for it. Instead, for the majority of our photography, we apply techniques to bring out the colors to capture all of the dynamic range in the scene. 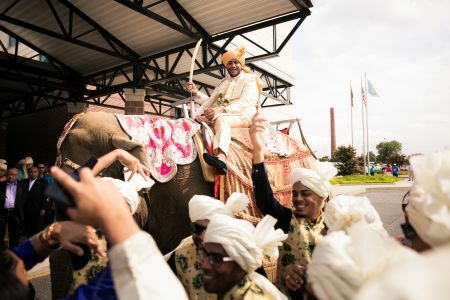 From HDR photographic techniques to advanced flash photography, we use all of the resources, tools, and knowledge we have built up over the years to capture all of the amazing action, colors, and emotions at your Indian Wedding. 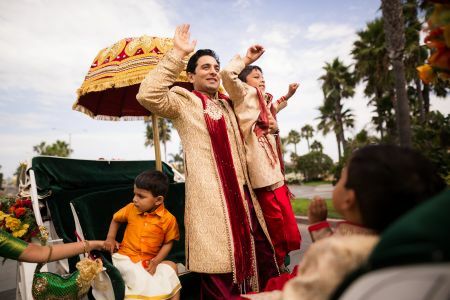 The Baraat is one of our favorite parts of the Indian Wedding. The excitement and anticipation mixed with the dancing and music make for a lively and dynamic scene to photograph. 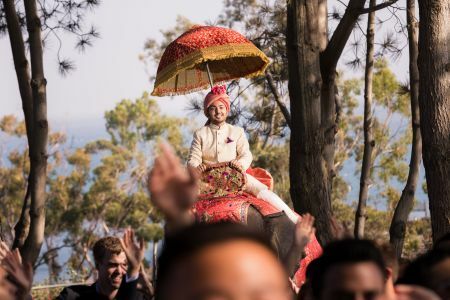 We’ve seen the groom ride in on all sorts of creative and beautiful animals and things, from majestic elephants to beautiful horses. We’ve even seen rickshaws flown in all the way from India. Whatever happens, we’ll be there to capture it all during the Baraat. 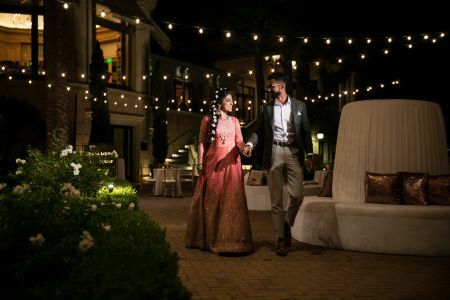 Nighttime Indian Wedding Portraits – We’re also able to do them at any time in the day, whether it be the morning, afternoon, or even in the evening. Below are just a few images of our nighttime couple’s portraiture for our Indian Wedding clients. In these images, we are focusing on capturing the romantic mood of the scene while utilizing the lights and the environment to add interest to the overall images. 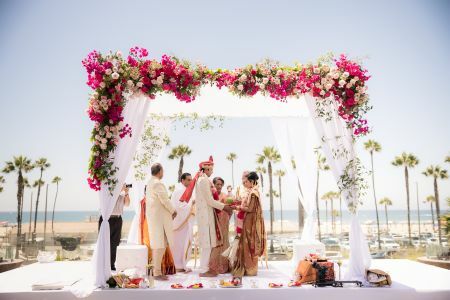 Though Indian Wedding Ceremonies are spiritual and religious, they are also full of emotion and candid moments. 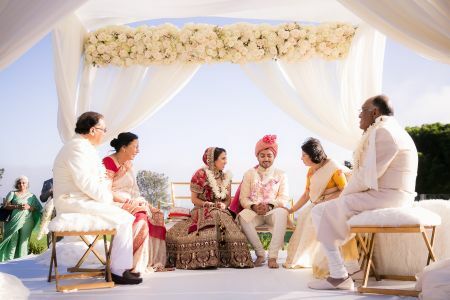 Our style is to get a unique combination of wide angle photos and close up photos from a variety of angles, anticipating smiles and emotional moments during the Indian Wedding Ceremony. For example, we know that if a bride is being blessed by the married women in her life, there are going to be great emotional moments; and we know to get in position to capture them. In another example, we also know that after the couples walk around the fire, there is a good opportunity for some amazing laughs as they race to sit first! Jewelry, Shoes, Rings for Indian Weddings – The best time to get the bride’s details (the wedding shoes, the outfits, the bouquet, etc) is right in the morning. We search for perfection in the lighting and backgrounds for these, as we know how important they are to you. Ceremony Detail Pictures for Indian Weddings – By the time you see your wedding ceremony site in person, it will be full of your guests. It’s our job to capture these details in their unaltered state so that you can look back and see all of the wonderful detail in your wedding ceremony site. For more information on ideal Indian Wedding Timelines visit our Indian Wedding Timeline page. 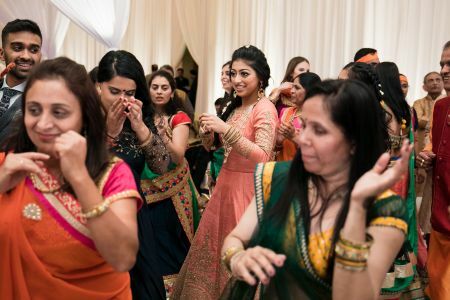 The Sangeet for an Indian Wedding is often more elaborate than an average wedding reception. 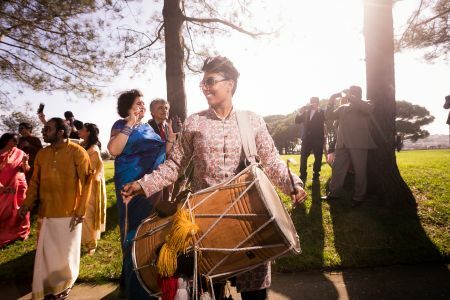 In our Indian Wedding Photography Package, we include coverage of the Sangeet so you will have all of those great toasts, performances, and candid moments preserved forever. We typically arrive 10-20 minutes before guests are scheduled to arrive so that we can get some photos of the room completely empty. After that, we capture the candid moments as the guests arrive and get seated. 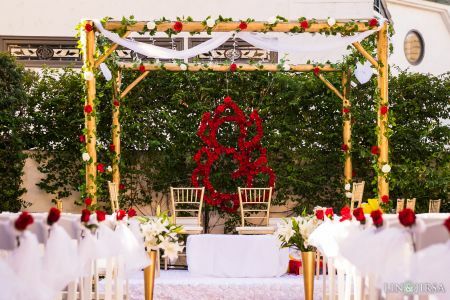 As soon as the couple arrives, we go into a couples session with the bride and groom that usually lasts 20 minutes while the guests are being seated. From there, we diligently capture all of the evening’s moments. 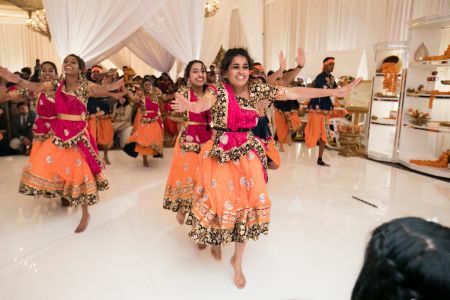 Our Indian Wedding Package also includes coverage of the Mehndi Party. We love these events because it allows us to get to know the bride’s family. 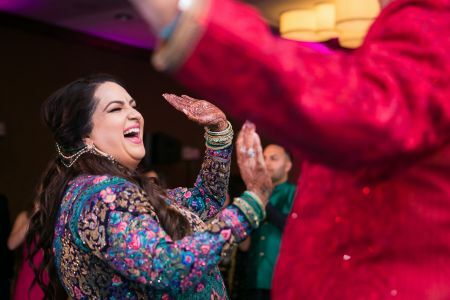 They are also full of great candid moments, as friends and family gather to eat, catch up, and get their Mehndi ready for the big wedding day! 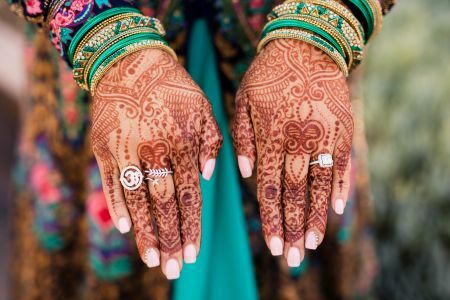 Check out some of our favorite henna artists here! 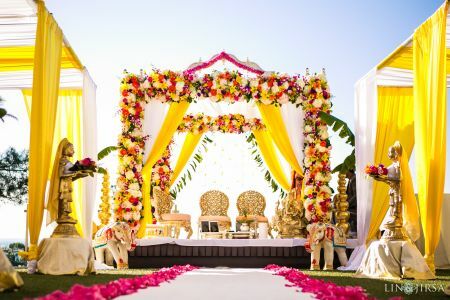 Please contact us if you’re interested in hiring us for your Indian Wedding! We would love to be a part of your special day. Contact us here. 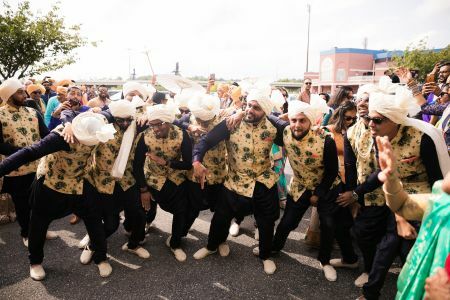 Be sure to check out our Indian Videography as well! Creative. Clean. Different. We are a group of creatives in Orange County with a passion for storytelling. Founded in 2007, our studio has been recognized as the best wedding photographers in Los Angeles and Orange County by various publications, websites, and groups. We’d love to show you our studio in Orange County, California and walk you through our albums, canvases and other print photography products. We can also provide more information on our Wedding Videography and introduce you to our team.